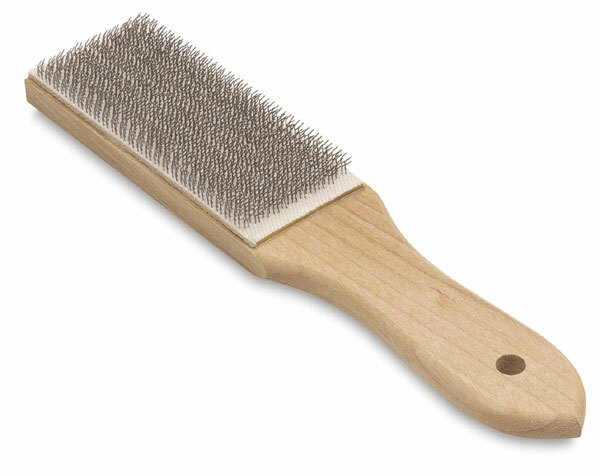 A rasp brush is an essential tool when working in wood, and even more so with stone. The Sculpture House Rasp Brush cleans rasps quickly and easy to help keep your tool from wearing out. Particles will clog the teeth of almost any rasp. The finer the teeth of the rasp and the softer the stone, the faster the rasp will clog. This Sculpture House Rasp Brush will clean out clogged tools, thereby making them last longer and work better.